Hello, Tell us a bit about yourself and the Eden Project? I'm a Digital Content Manager at the Eden Project. I used the camera, along with my colleagues Jasmine Guild, Kathryn Nichols and Ben Foster, to take a range of photos of the Eden Project indoor Biomes (Rainforest and Mediterranean) and Outdoor Gardens. The Eden Project is a visitor destination in Cornwall, UK. It nestles in a huge crater that was once a disused clay mine. Our Biome structures, which house the largest rainforest in captivity, serve as a backdrop to our contemporary gardens and summer concerts. What did you choose to shoot? At Eden we like to tell stories to our visitors to convey how important plants are in everyone's lives, so many of the photos we took on the Lomo'Instant Automat feature plants. Bamboo, for instance, has an enormous array of uses, from building to clothing, and is one of the fastest-growing plants on Earth. 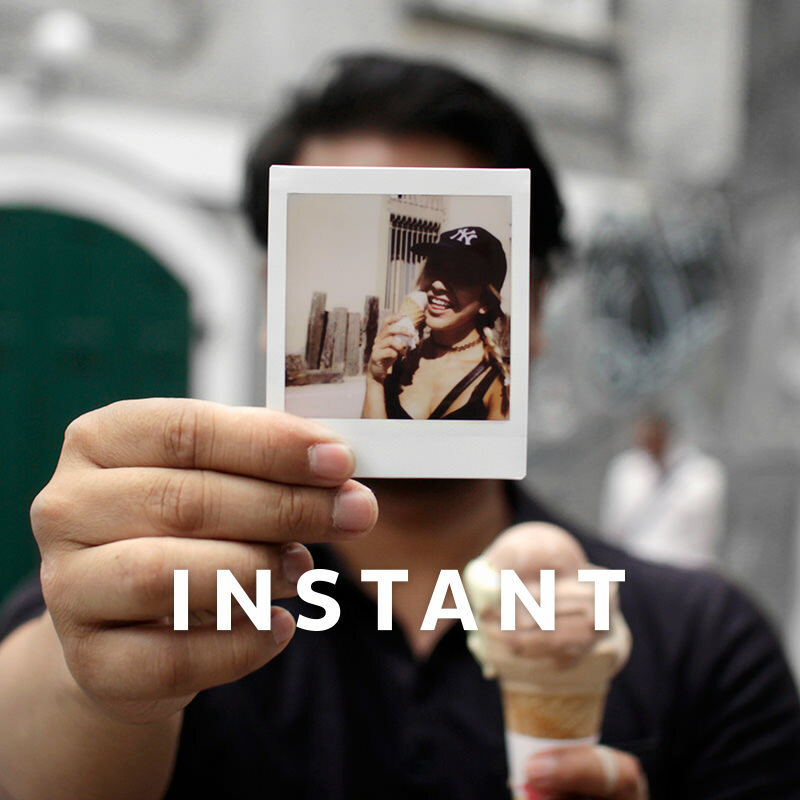 We love these colourful images, how did you find shooting with the Lomo'Instant Automat? Shooting on the Lomo'Instant Automat was great fun. It was good to take a break from indiscriminately hammering the shutter button on a digital camera to rediscover the more measured and meticulous thought processes of shooting on film. And, of course, there was the nostalgic rush of excitement of waiting for the image to develop. We love the way the photos look – they could only have been taken on a Lomography camera and we have the nice prints to keep too. In 2019, as ever, we'll be open throughout the year for visitors to explore our global gardens, and we'll have a packed programme of family events, mainly around the school holiday periods. Every summer we run a photography competition with great prizes on Instagram and Twitter around the hashtag #edenphotocomp. lomographysoholondon, -dakota-, dimalx, rdetoyato, ricoinbrooklyn, montagu, stolosapo, rik041 & gakurou.